Cauliflower is an underrated food item that is now gaining traction in the world of healthy food trends. That’s right: the food that’s been long considered boring and tasteless has been revitalized into a delicious and versatile treat. Recipes that involve cauliflower are endless these days and range from rice to pizza crust, but it’s the 5 recipes below that you’ll want to use again and again. Not only are these recipes easy and kid friendly, but they’ll also help you stay on track in your healthy living efforts. In fact, these compounds have the ability to protect cells from DNA damage, inactivate carcinogens, induce apoptosis and prevent angiogenesis (tumor blood vessel formation) and metastasis (tumour cell migration). They also have anti-inflammatory effects. 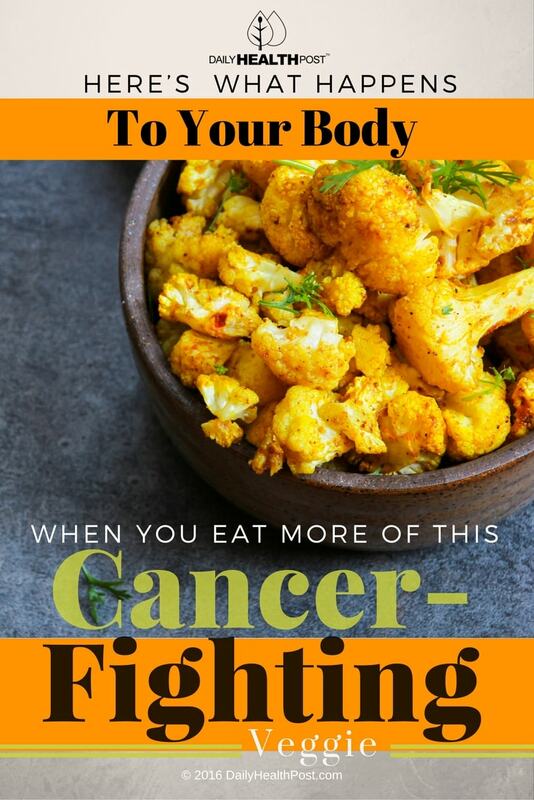 If that wasn’t enough, cauliflower is also overflowing with nutrients. Only a single cup of the veggie can supply you with almost an entire day’s worth of Vitamin C, which promotes collagen production to keep your skin, joints, tendons and blood vessels healthy (3). Other important nutrients found in cauliflower include vitamin K, folate, and vitamin B6. Plus, it’s incredibly low in calories (25 per cup) and full of gut-healthy fiber (4). 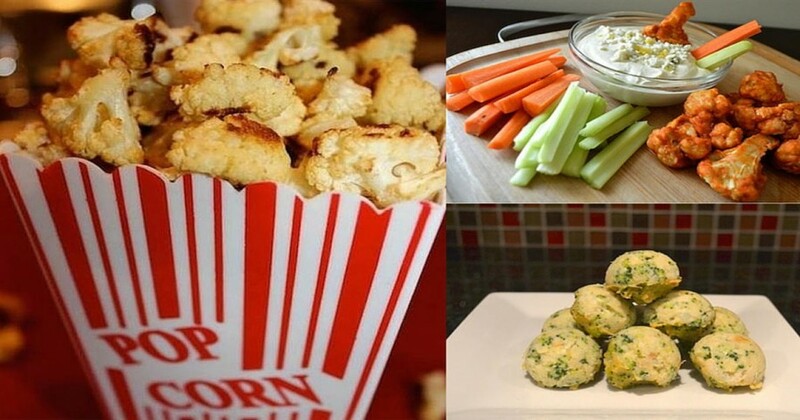 Here are 5 different ways to incorporate more cauliflower into your diet. Looking for a healthy alternative to a late night snack? This recipe has the look and texture of popcorn, but with triple the health benefits. The recipe is incredibly easy and only uses 3 ingredients, making it a perfect option for family movie night. Cut the cauliflower florets into small pieces, discarding the core and stems. Toss the florets in olive oil and salt. Place on a well-oiled baking sheet and bake for an hour. Turn the cauliflower every 20 minutes so that it’s evenly baked. This creamy recipe is great for vegans and people with dairy sensitivity, but it’s so tasty that even non-vegans will love it! Serve over organic, whole grain pasta for a healthy, satisfying meal. Wash and prepare cauliflower, and add to boiling water. Meanwhile, sautee garlic in an oiled skillet over low heat until softened. Do not let it get brown. Drain cauliflower and add to a large food processor. Add spices, yeast, lemon, garlic, milk and butter to the processor and pulse until smooth. Set aside. Prepare paste as per cooking instructions and drain. Combine pasta and sauce in your saucepan and warm up over low heat. Serve with fresh parsley or cheese and enjoy! These wings are definitely never late to the party! Pair them with a homemade blue cheese yogurt dip to get your dinner guests hooked or pack them in your child’s lunchbox for the perfect afternoon snack. Best of all, they can easily be made vegan or gluten-free! Wash and cut cauliflower into bite-sized florets. Combine water, milk, flour and spices into a bowl to make your batter. It should be thick enough not to drip off your cauliflower. Dip cauliflower into the batter and set on a parchment-lined baking sheet. Bake for 20-25 minutes, turning the florets over halfway through. As they’re baking, melt butter over low heat and stir in hot sauce. Remove from heat immediately and pour into a large bowl. Let your florets cool and toss them into your sauce until well coated. Return the cauliflower to your baking sheet and repeat step 5. Serve with tzatziki or your favourite dipping sauce. These simple, healthy nuggets are great options for when you’re running short on time. Just make a large batch at the beginning of the week and pop them into the oven whenever you’re hungry. Steam or boil broccoli and cauliflower (5-7 minutes), drain and chop. Mash the vegetables together and place in large bowl. Add other ingredients and stir until well combined. Scoop the mixture onto a parchment-line baking sheet or into well-oiled baking molds. Let them cool for 15 minutes, remove from molds, and serve! This classic dish is perfect for satisfying your cheese craving without eating any animal fat. You’ll never want to eat boxed mac & cheese ever again! Fill two large saucepans with water and bring to a boil. As the water heats up, wash and chop vegetables. Use one pot to cook the pasta and the other for the vegetables. Lower heat and cook both for 10-15 minutes, or until soft. Pulse vegetables in a food processor at high speed. Add oil, water, yeast, and spices and pulse until smooth. Incorporate sauce to your pot full of drained pasta and mix well.